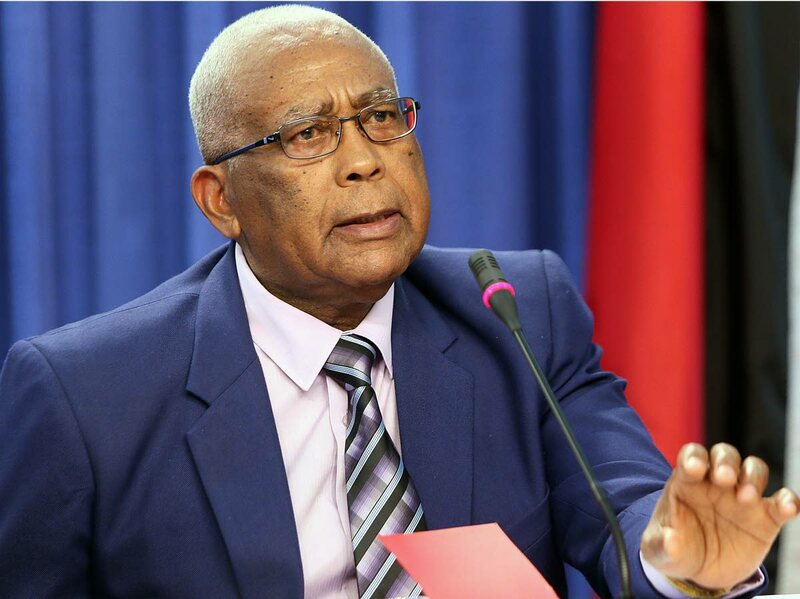 EDUCATION Minister Anthony Garcia has welcomed a call by President Paula-Mae Weekes for a better education system. Weekes called for an overhaul of the system to lead students into the future. She spoke on Tuesday at the President’s Medal award ceremony, where the top achievers for 2018 were rewarded for their excellence at the primary and secondary level. The ceremony was held at the National Academy for the Performing Arts in Port of Spain. Garcia, in a statement on Wednesday, said her view is shared by the ministry and coincides with the work it is already doing to improve the education system. “We have been able to, over the past three years, not only shift our focus to prioritising literacy, numeracy and penmanship for all of our school-aged children, but also provide our students with the opportunity to excel in sports as well as the visual and performing arts. He said the importance of holistic teaching and learning has been emphasised and this is being reflected in the outcomes of our students. In this past academic year, the ministry recorded the best performance in ten years. Garcia said the ministry continues to work tirelessly to ensure access, quality and equity in education for all students. It is currently refining a revised education policy which came out of a three-day national consultation on education held in 2016. Stakeholders in both Trinidad and Tobago expressed concerns and made recommendations aimed at the effective governance and administration of the education system; access to educational opportunities by all learners; and provision of quality education at all levels. Garcia said these recommndations and concerns were collated and taken to Cabinet and recently taken back to stakeholders final review to ensure they were adequately addressed. He said a final draft will be presented to Cabinet in the coming weeks for approval and then implementation. Garcia also echoed the President’s call to instil strong values, morals and citizenry among students,outling the ministry’s contribution in these areas. Garcia said this curriculum specifically targets life skills such as decision-making, responsibility, self-awareness, empathy, citizenship, honesty, caring (for oneself, community, country and environment) and justice. Garcia said while the school curriculum facilitates the learning and understanding for the development of good character, the school and classroom should not be seen as solely responsible for ensuring students have the values and skills that would allow them to contribute to national development now and in the future. “Young persons generally acquire and model their values and behaviours from parents, leaders and other adults in the society. The MOE reiterates that the inculcation of values and skills is the responsibility of the whole society,” Garcia said. Reply to "Garcia supports President’s call for better education system"